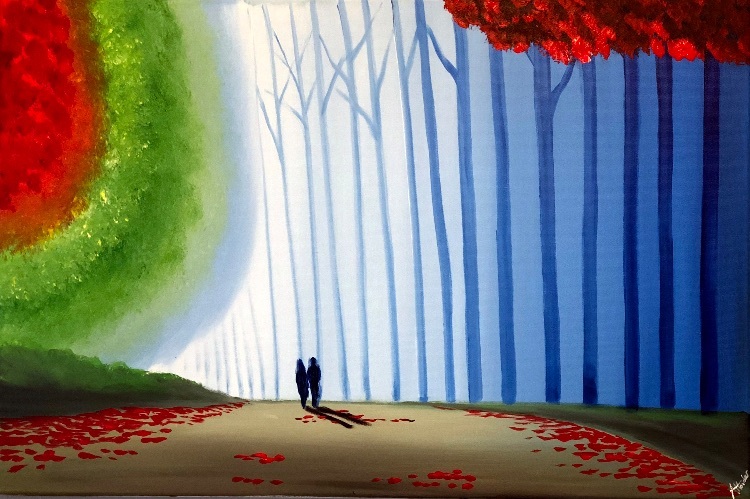 A vibrant and colourful painting of a couple taking a peaceful walk. This painting carried on over the sides and can be hung without a frame. The painting has been varnished with gloss and signed in the bottom corner. The canvas has been wired at the back for hanging. The painting will be dispatched within 2 working days by a tracked courier. A certificate of authenticity will be provided.